대마초 공장 실내 수경을 복제합니다. 인공 조명과 수경 재배에서 마리화나 클론, 마리화나 식물 대마초. Funny Ugly Man Shower CU. A funny slim ugly man singing in the shower, soaping himself while wearing a cap. He gets scared discovering that someone else is inside the tub, peeping at him. Close-up shot. 빈 극장은 큰 쇼를위한 준비 좌석. 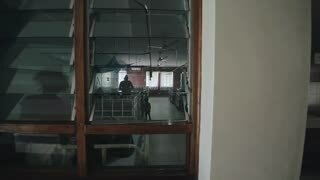 View through the window on the ward in hospital in Africa. Woman and child are patients. Airport terminal - busy people on air plane travel. Passengers going traveling walking with baggage and luggage in international transit hall. 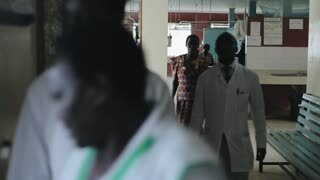 African doctor and patients walking through the hospital lobby in village in Africa. The window through the curtains at the sky. The curtain blown by a gentle wind.